Kourtney Kardashian has been unveiled as the new ambassador for Manuka Doctor. | HELLO! Her flawless skin regularly gives us major envy, so it comes as no surprise that Kourtney Kardashian has been announced as the new brand ambassador for Manuka Doctor. Powered by Manuka honey and fortified bee venom, the range helps to fight against a whole host of skin conditions, from ageing to blemishes. Kourtney, 36, is a long-time fan of the brand, and confessed she's thrilled to be involved in the new campaign – and she looks incredible in the imagery! She said: "I have been using the Manuka Doctor honey line for many years so when the brand asked me to be their global ambassador, I couldn't have wished for a better partnership. As fans of my show have seen, I'm an advocate for products that use natural ingredients." The Keeping Up With the Kardashians star added: "I am incredibly excited to have this opportunity to work with a brand I believe in and introduce it people around the world!" In the campaign shot, mother-of-three Kourtney literally glows as she pouts into the camera covered in gold, which is meant to represent Manuka Doctor's latest product Gold Dust serum. Communications director Claire Perry said: "The campaign imagery is rich in golden tones and smooth textures with images embellished in shapes and colours to reflect the naturally inspired products including the smooth texture of key ingredient Manuka honey, the bee and the hive, in turn capturing a natural, compassionate side to Kourtney – the mother and successful role model. 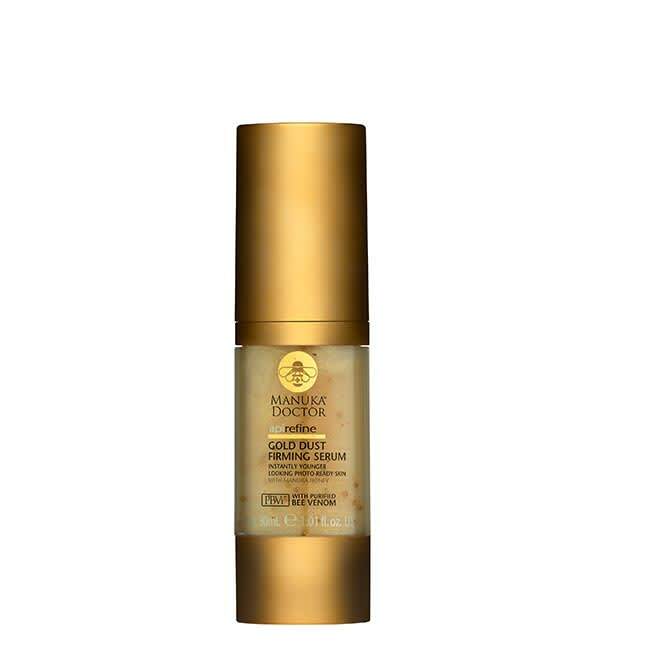 "New illuminating Gold Dust firming serum contains active ingredient colloidal gold to lock in moisture and keep skin firm while reflective light particles help define facial contours." 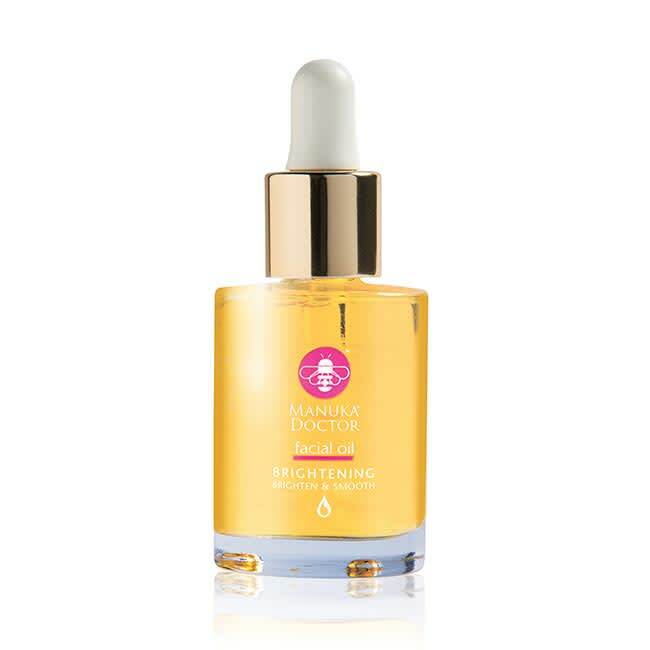 The Manuka Doctor Brightening Facial oil – which Kourtney insists she is "obsessed" with – is designed to deeply nourish the skin, while brightening, smoothing and protecting against oxidative damage. You can shop the range now at Holland & Barret and Superdrug!